These glamourous bags are made from faux croc. They look as stunning as the popular Bone Idle car.. 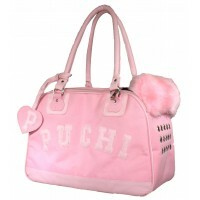 This Bone Idle Pet Carrier looks very glamorous and is suitable for a small toy breed dog. These .. 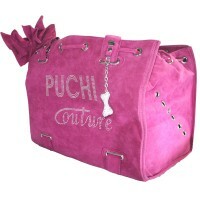 This leather carrier is glamorous for a designer pooch! This luxurious creamy soft leather carrie.. 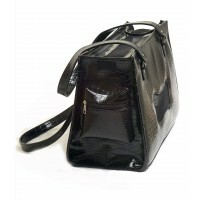 This stylish carrier is the item to be seen carried in! 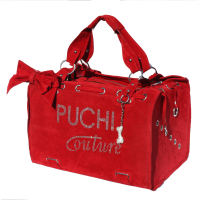 The celeb favourite Posh pick up! 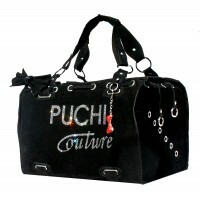 Si..
Take a look at these dazzling carriers they are very glamorous and upmarket for the Posh Puchi gl..